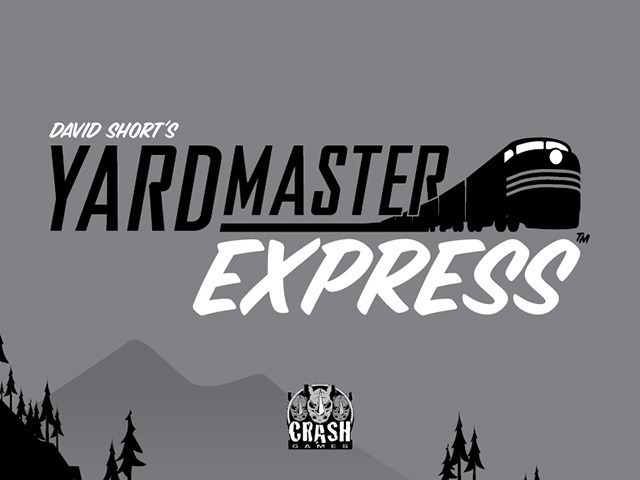 A perfect game for that 15-minute break, Yardmaster Express does little, but does it very well. What is Yardmaster Express like? 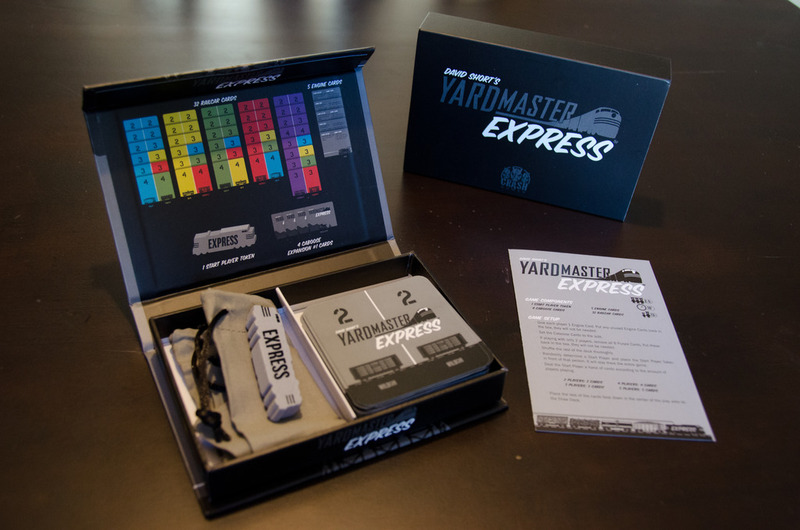 In Yardmaster Express you are, well yardmasters, trying to organize your train in the best way possible. Trains are cool to look at and the theme fits the mechanics, even if the coupling between mechanics and theme is paper-thin. In Yardmaster Express you line up cards in a row that looks like a train, with each card consisting of two carriages. The way you do this is by having a hand of a cards, drawing one card, choosing a card to add to your train, and then passing the hand on to the next player who does the same. There is one hand of cards that is passed around the table, unlike in Sushi Go! or 7 Wonders where every player has a hand that they pass along. This makes the game a bit easier to grasp for people who are not used to drafting, and Yardmaster Express is a perfect ‘your first drafting’ game. The scoring in the game is dead simple. You count the numbers on the cards, check to see who have the longest run of a single colour and that player gets a bonus equal to the length of the run. And, that’s it, and as it is it is fun. There is a variant (that you never should play without) where a ‘caboose’ card is played in the middle with a common goal that everyone can strive for. This could be the least different colours or many other goals. There are four caboose cards included but if you want more variety a mini expansion is available at the Board Game Geek Store that I think improves the game a lot. This game is my go to game, for introducing drafting mechanics. This goes before Sushi Go! It is a game that almost anyone can play and enjoy. If you are looking for a very light and short game that still has some decisions, Yardmaster Express won’t disappoint. The game is fun for what it is. It isn’t a game you will want to play for hours. But that isn’t always what you want. Fun in smaller portions. The theme isn’t very strong, but it is one many people will enjoy and it won’t offend anyone. The layout is very simple and minimalistic, but functional at the same time. The 4/6 rating is taking in to account what sort of game this is, you won’t find epic illustrations or incredible miniatures here. This is simplistic in style, but it is very well done. Short and to the point. With a game of this simplicity, it would be a shame if the rules couldn’t manage to explain the game. Thankfully, this is not the case, and the rules do what they need to do. It’s one of the worst games I’ve ever played… Don’t get me wrong, I love cardgames and I’m not against fillers, but this one was as meaningless as wearing sunglasses in the dark. You play numbers, that’s it, there’s no game in it. For the filler game that also has just numbers (and a simple text) on the cards I would suggest Red7. That game has THE GAME inside the box… a lot! Red7 is one of the best simple filler-type card games I have ever played. I do agree that are way better fillers our there, personally I can’t get enough of Sushi Go! . I have played Red 7 a few times, but it isn’t really my kind of game. Flip City is another filler for us. But only as a 2-player game. But Red7 is still the best. I can understand that it’s not a game for everyone cause it’s Carl Chudyk 😀 We have Mottainai also and after one play we have mixed feelings, need to play more.